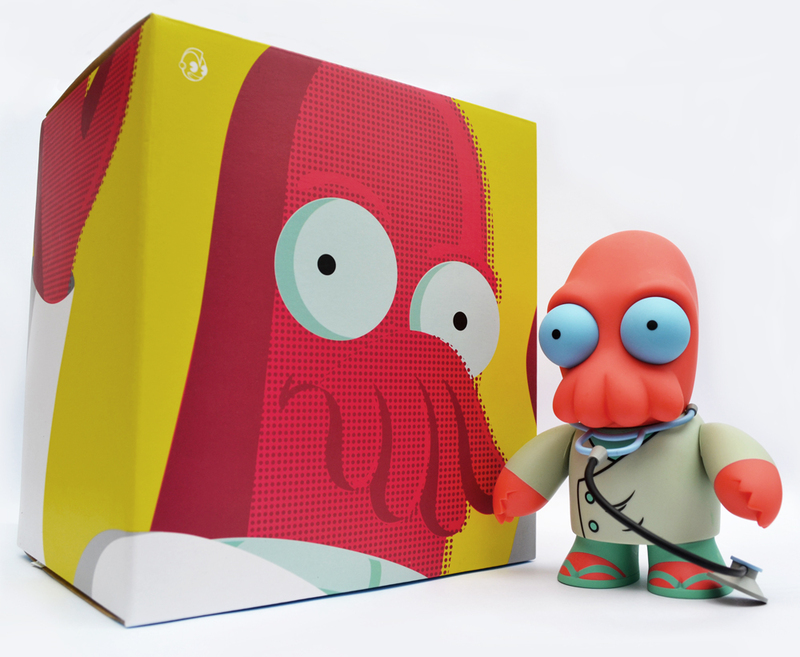 Kidrobot’s Dr. Zoidberg | 'TAIN'T THE MEAT… IT'S THE HUMANITY! 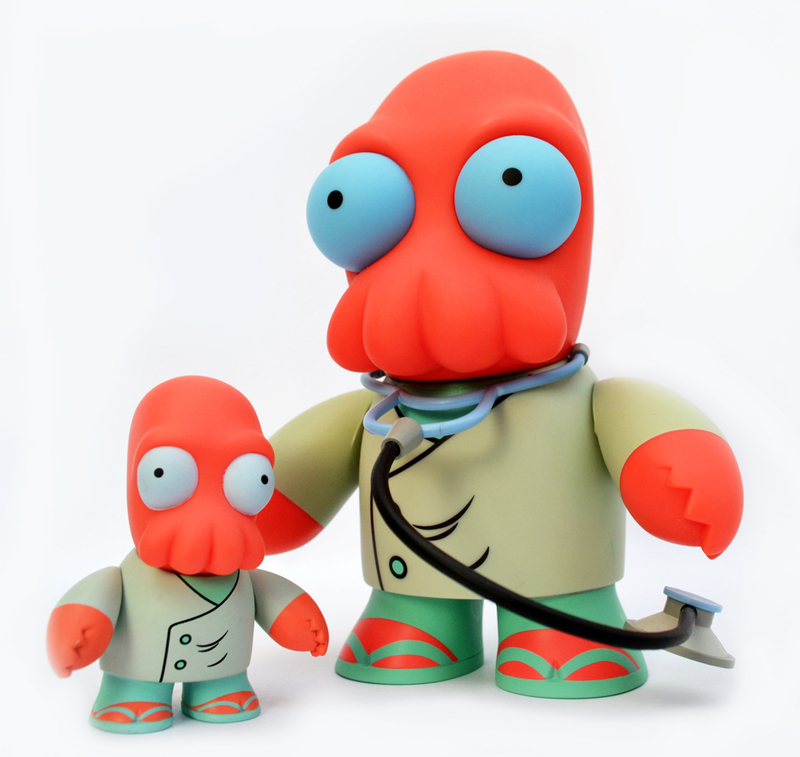 Released on 18th July 2013 Dr. Zoidberg is the fifth in Kidrobot’s range of designer toys based on Matt Groening’s animated TV show Futurama. Measuring six and a quarter inches high this figure is an almost exact replica of the three inch version from Kidrobot’s Futurama blind-box collection from 2009, even down to his stethoscope. Zoidberg’s head and arms feature limited articulation and the figure is made to the same high quality and satisfying chunky feel of Kidrobot’s other toys – I especially like the moulding of his claws. As with their other sized figures Kidrobot have directed a great deal of attention to the box the toy ships in, which is brightly coloured and features a nice retro comic book feel, with oversized printing dots and deliberate mis-registration. The version that I bought (shown here with a few of my own photos) is the standard limited edition which you can still find for around £/$40. 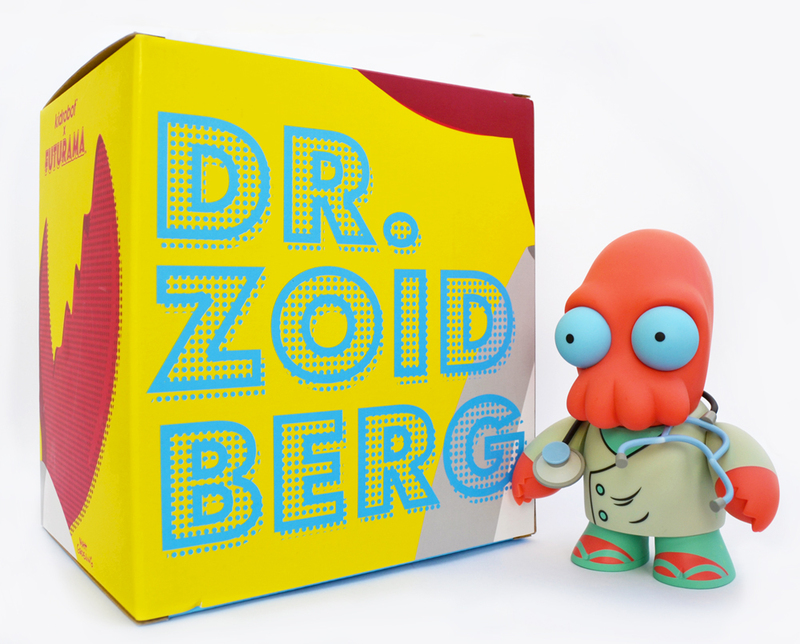 A blue-skinned exclusive variant, inspired by the fourth season episode The Farnsworth Parabox, was released for the 2013 San Diego Comic-Con. It looks OK but I’d rather stick with my traditional orange version of the Planet Express crew’s lobster doctor – why not.